Whole school assemblies are held on a Friday at 1.30pm in the School Hall. Parents and Caregivers are welcome to attend. These assemblies are run by our School Leaders. All classes have the opportunity to showcase their talents to the school. Skits, songs and poems that students have worked on are often included. During these weekly assemblies Merit awards are handed out to 2 students per class. The MAGIC awards - Magic Person of the week, Sports Star, Plume Playground & the Creative Kid award are also handed out. The Magic Awards come with a voucher for the winners to redeem. House points are given to students by teachers as a way of rewarding good behaviour, returning forms on time etc, these are counted and recorded each week, to acknowledge the MAGIC house for that week. 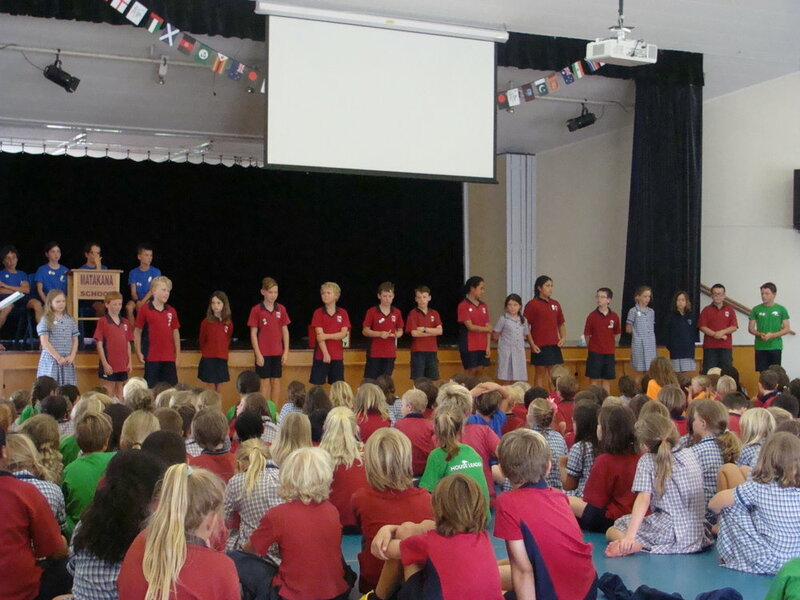 There are also House Assemblies which are scheduled in on a regular basis. These assemblies are run by the School’s House Leaders. Students are encouraged to wear their House T-shirts on these days. Prizegiving - An end of the year ceremony to acknowledge students and their achievements with certificates awarded for a great year of schooling. The entire school attends, parents/caregivers/whanau are also welcome. Year 6 Graduation - We honor and say goodbye to our Year 6 students at a special and very moving ceremony attended by our Year 6 students and their families. Academic, sporting and cultural achievements are recognised with the following category cups awarded. Please see the Term Calendar on the website, APP or in the newsletter for dates.